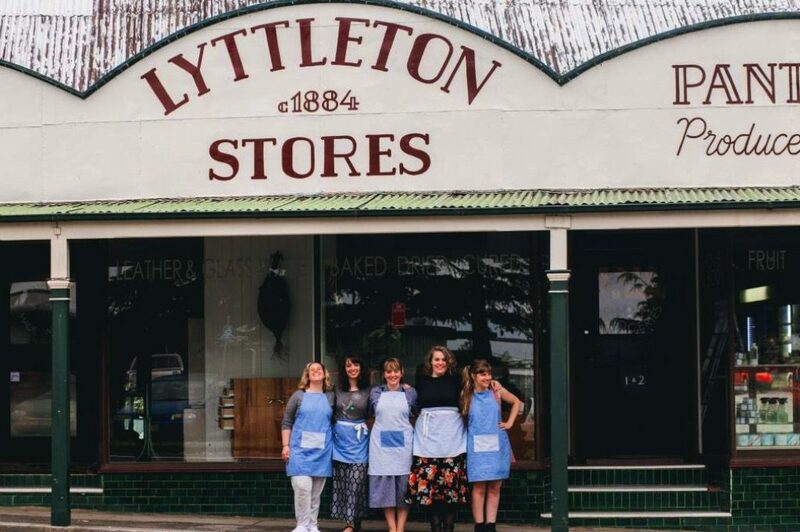 Lyttleton Stores is a little piece of Blue Mountains magic, with community at its heart. 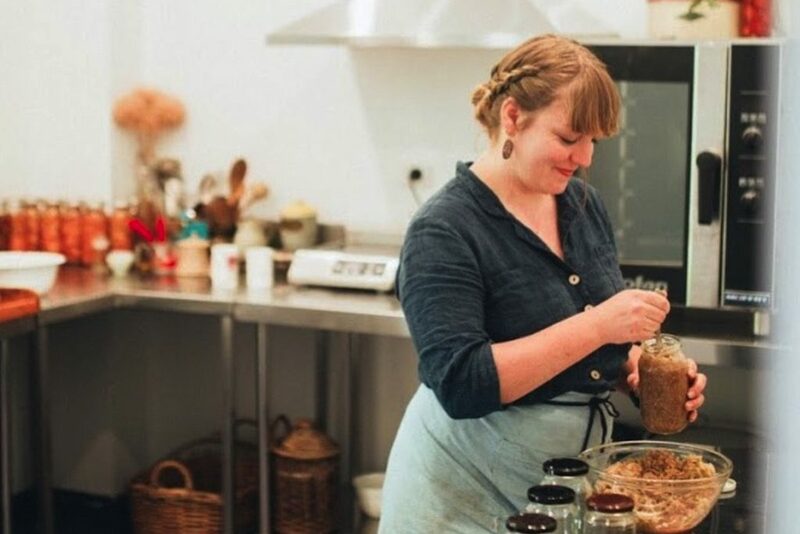 A super inspiring example of what a small-town cooperative can be – local organic grocery, community gallery, kitchen, workshop space… you get excited the minute you walk in the door. 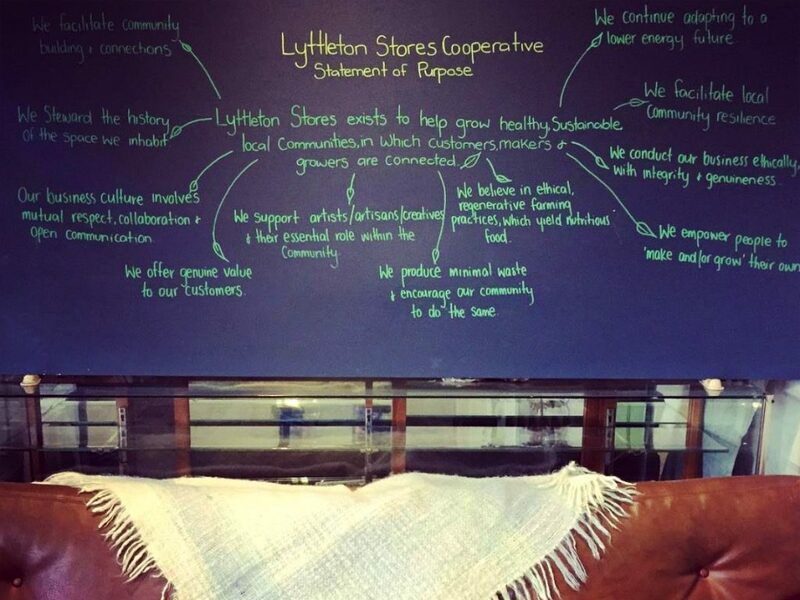 Somehow, thanks to the founders’ extended family chipping in, and the ongoing work of the 5-woman-strong collective that formed around the project… that is just that Lyttleton Stores has become. It’s pretty special. The day we visited, we were met with an amazing spread of local veggies, fruit, honey and wholefood groceries in the produce section. 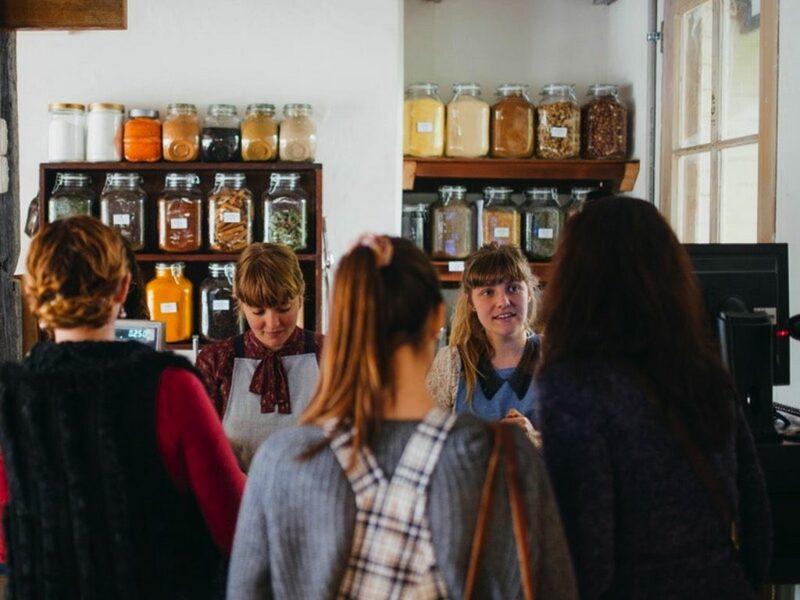 To our left was an artisan space filled with gorgeous things, and to our right and down the stairs, the woodfired community hub – which is free for all to hang out in, with a well-stocked hot drink station to make yourself a cuppa. 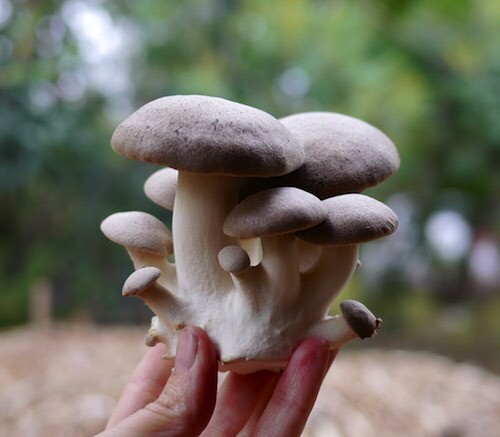 We sat down with Emmanuela Prigioni to talk permaculture design, community futuring and how they deal with too many apples. Emmanuela! Let’s have the vital statistics of this project first, if we may – can you tell us who is involved? Yes! So the project is managed by a collective of five women, Jacinta Carmichael-Parissi , Allegra Benmayor, Eloise Crossman.Charlotte Craib and myself. We have more lovely people working behind the counter, Chani, Haylea (who also does all our graphic design! ), Wilbur, Gala, and Kim in the kitchen. Just being inside the building makes me feel excited at all the possibilities for community there – Can you walk us through the project room by room, including who is in charge of which bits? 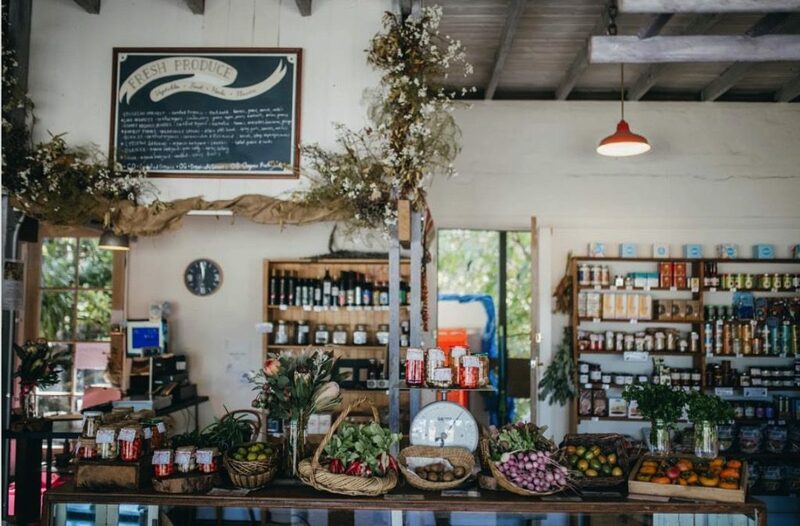 PanTree Produce is an organic grocery store, supplying produce from local and Australian organic and/or regenerative producers. Charlotte coordinates suppliers, orders, and all that goes on here. 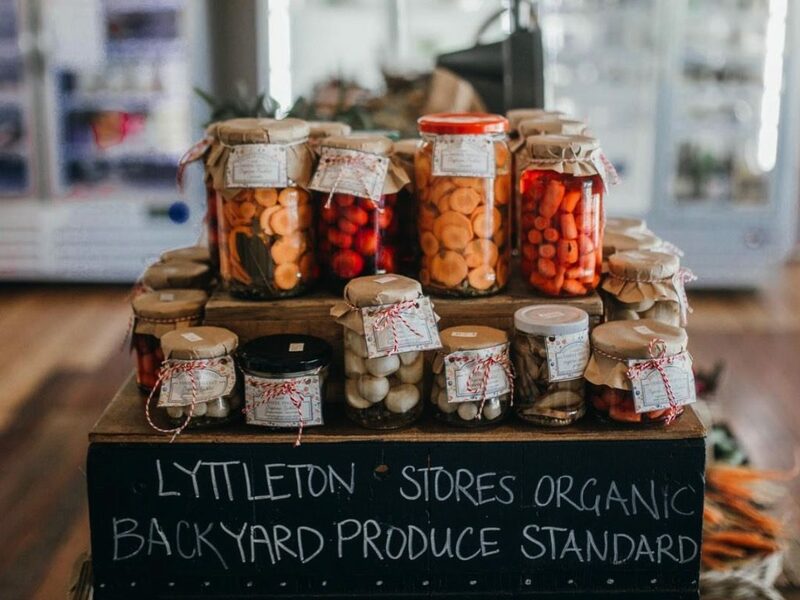 Lyttleton Kitchen is a small commercial kitchen, where our in-house chef Kim cooks food for the Pantree shelves and for the Community Hub from surplus produce from the shop, in an effort to avoid food wastage. 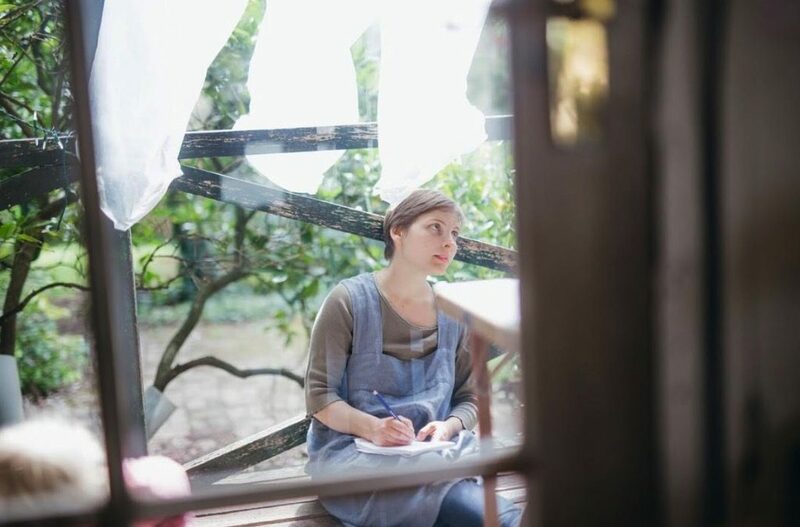 Atelier is an artisans store, exhibiting beautifully hand crafted, functional pieces from local, environmentally-aware designer makers whose wares we sell by consignment. Eloise runs this part, as well as the little window gallery exhibition space within it. during weekdays, which has a reference library of books about all of the above. Locals can come and hang out in the Hub outside of workshop times, read, use the free wifi, chat to others, have a cuppa by donation and have some delicious food from the shop. 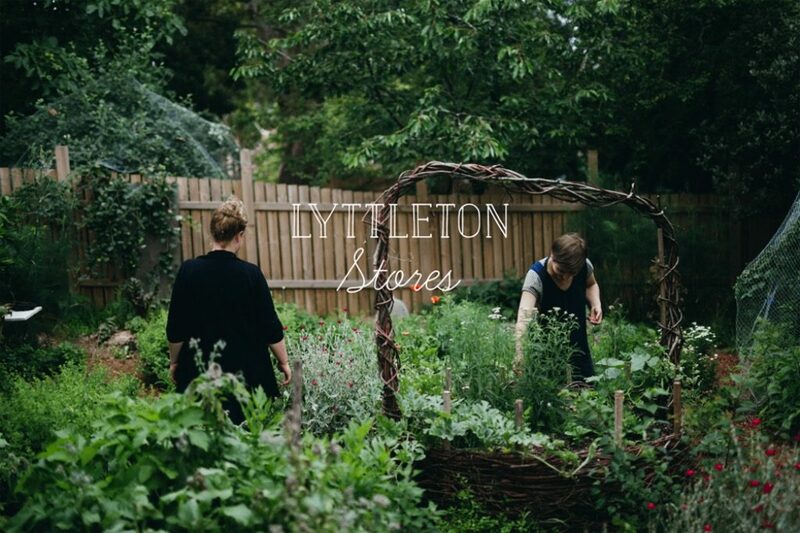 Lyttleton Gardens is a small patch adjacent to the shop that is open three days a week, where we run edible gardening workshops to illustrate what is possible when growing your own food regeneratively at a small, backyard scale. 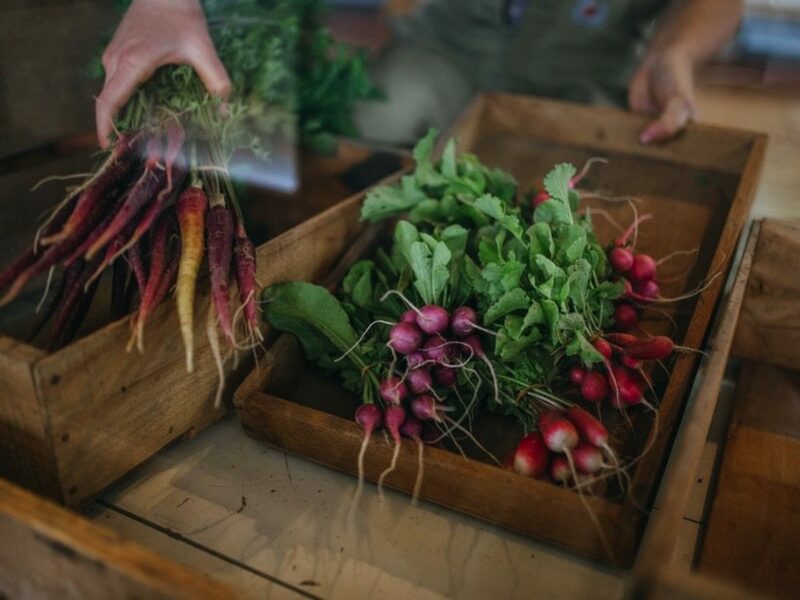 We also grow fruits, veggies and herbs for the Lyttleton Kitchen. Wow. 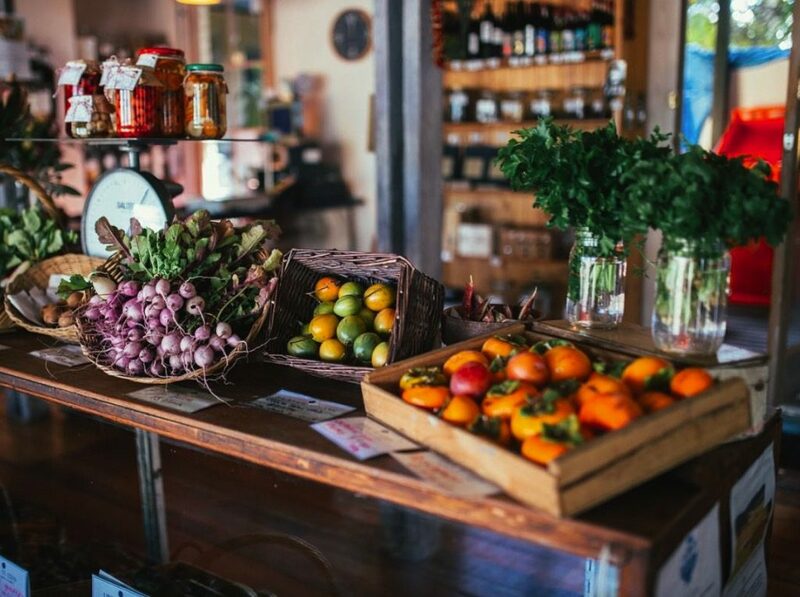 And within the Pantree Produce section there’s a chalkboard of info about the Organic Backyard Growers Standard, which is how you source a lot of your produce – can you tell us a bit about this Backyard Growers Certification program? This idea started before I joined the group, and I became really passionate about making it a viable system. 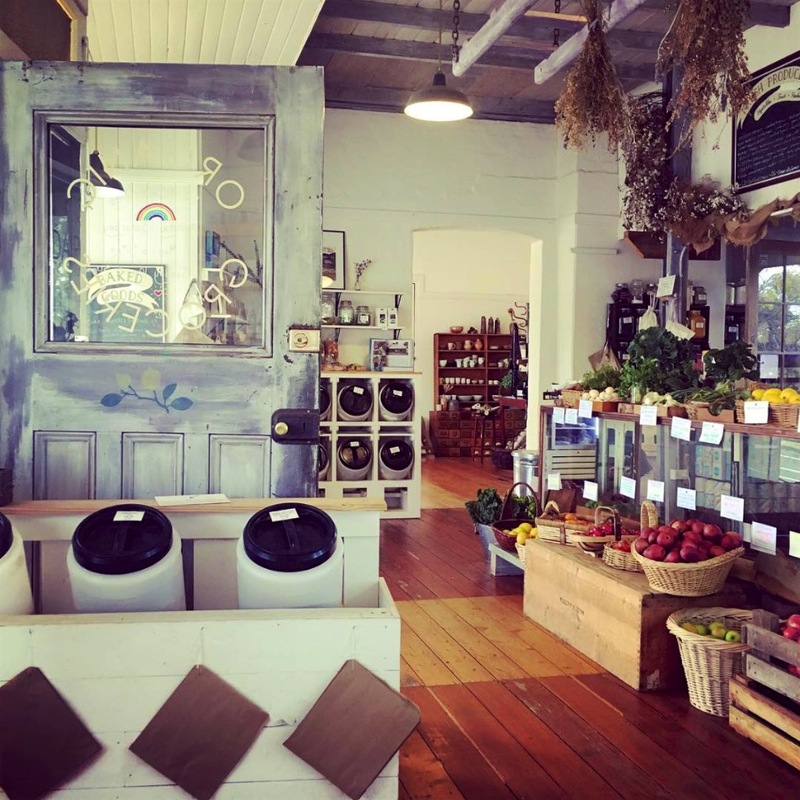 To increase availability of local organic produce, Jacinta had begun by contacting friends and family in the area to let them know if they had any fruit or veg gluts. They could bring them to the shop and receive the cost price of their produce in store credit. The Blue Mountains has quite a lot of older homes and home gardens with at least a couple of established fruit trees. Older residents or young commuting families didn’t necessarily have the time or sometimes the physical ability to process large amounts of fruit. This was a solution for them. As more and more people wanted to become backyard growers with us, we had to come up with a system for assessing growing practices for registration. 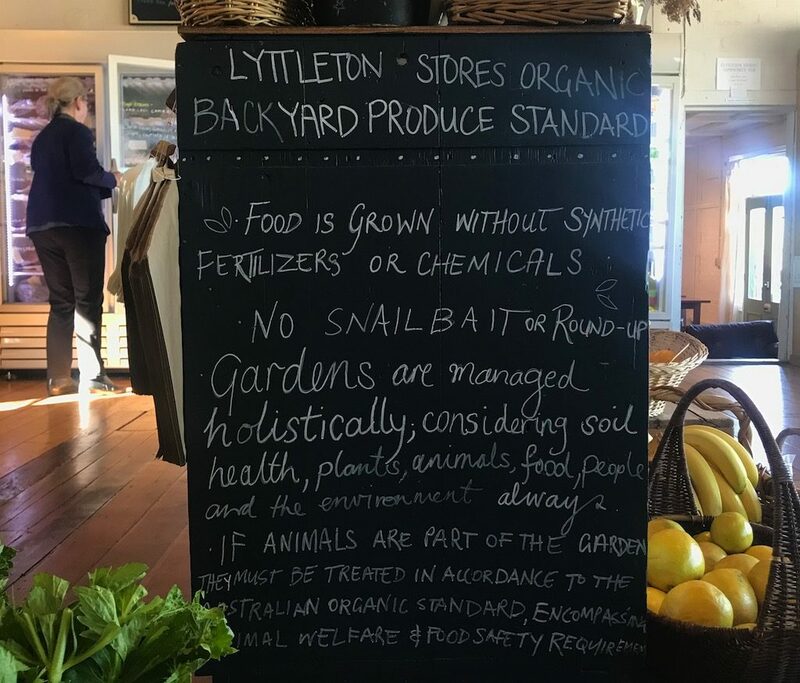 We wrote up a ‘Lyttleton Organic Backyard Standard’ document to hand out to anyone wanting to register with us. When we reached around 40 backyard growers, some method of planning was required to smooth out variations in supply. Growers now phone the shop before harvesting to ensure the produce is required at that time. That allows me to ask the grower to put off their kale harvest for a week, and ensure that all the kale growers get a turn of supplying us with kale for example, with no wasted kale in sight! There have been some incredibly positive outcomes from setting up this system, some of which we could never have predicted. 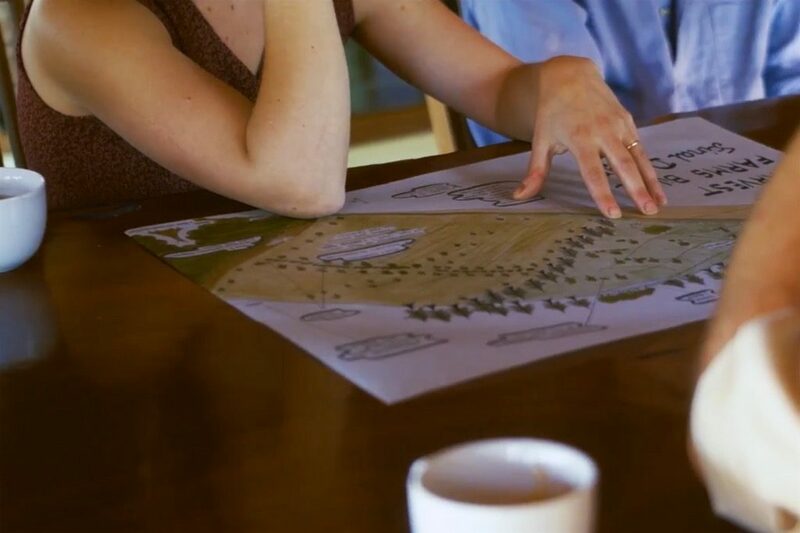 How did taking a Permaculture Design Certificate inform what you do in this project, and how you go about planning and design? I use the design method and framework I learnt from my Milkwood Permaculture Design Certificate for all my garden and farm designs. Permaculture ethics and principles underlie every decision we make as a collective as they are present in our Holistic Decision Making statements of purpose in many different forms. During my PDC, I learnt a lot about participatory decision making, working within a group of people, its group dynamics and challenges, which has been so useful in this project. 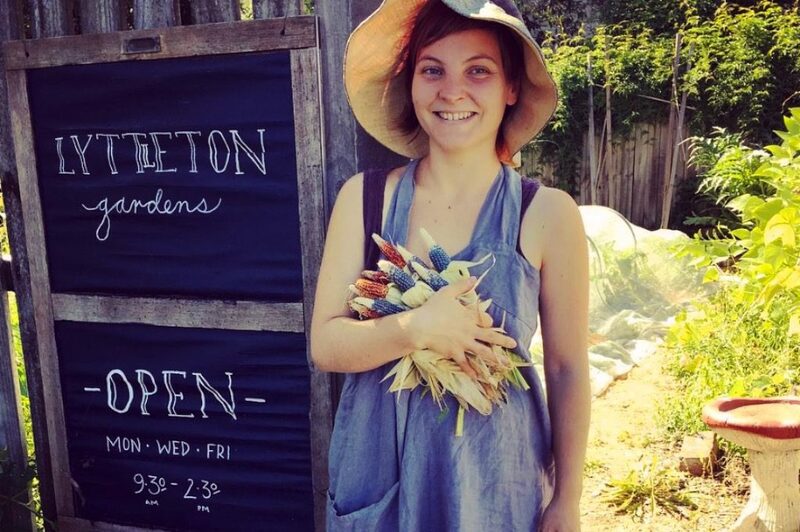 Jacinta hired me two months after finishing my Milkwood PDC, and I was one year into my Diploma of Permaculture with Riverina TAFE. 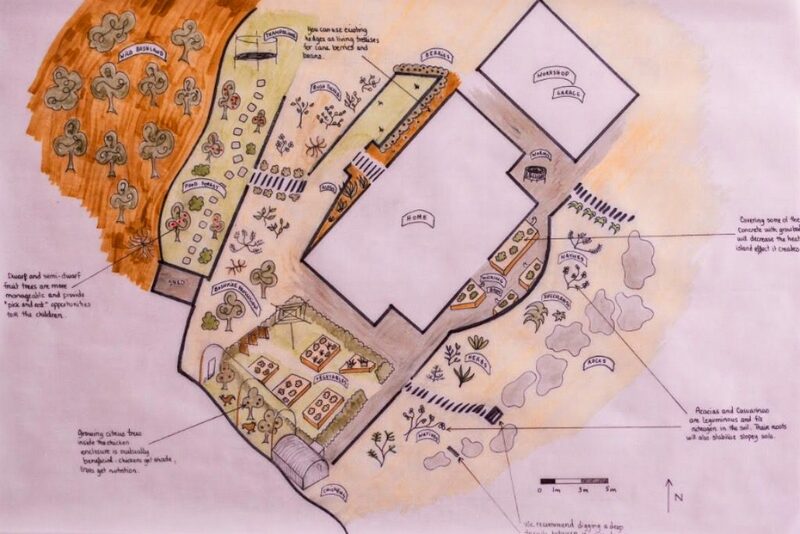 As part of my Milkwood PDC, I designed Springwood Community Garden. Jacinta came to one of our working bees and asked me if I would be interested in working at Lyttleton. The rest is history! 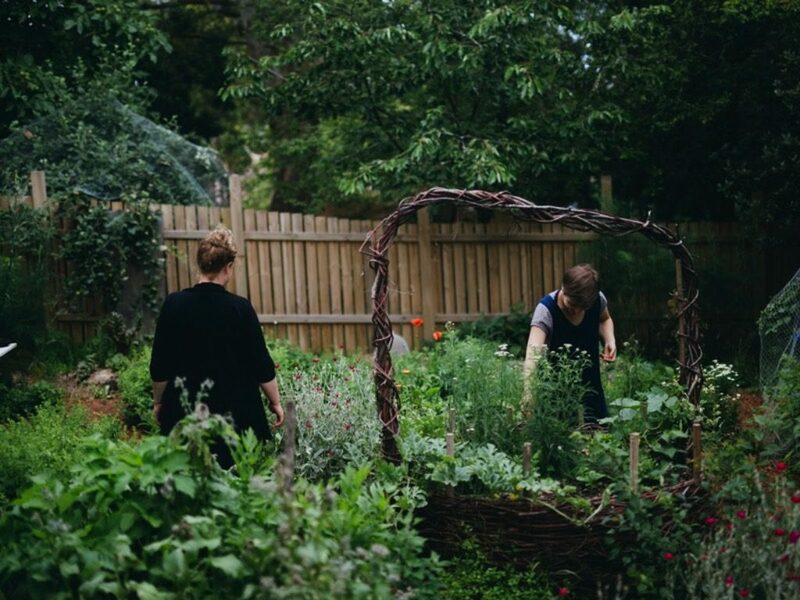 My role now involves growing food using biointensive techniques in the garden next to the shop, teaching vegetable growing and introductory Permaculture workshops, managing our backyard grower system, writing on the Lyttleton blog, and designing Permaculture gardens and small farm systems. I can see you’ve also undertaken some Holistic Decision Making as part of the collective’s planning – how has this informed things? It’s been a very useful tool for us and I recommend it to all groups out there working together to make things happen! Holistic Decision Making really fits within a Permaculture design framework in helping people work together. Can you tell us a bit about the cosy free-for-all community hub, and its scope? The Community Hub came about because we felt it was a great shame that the beautiful workshop space was not being used during weekdays. We initially looked into opening a café, but put it through our Holistic Decision Making plan, and came up with the Hub idea instead. Its scope is to offer an inclusive space for locals to hang out and be together. 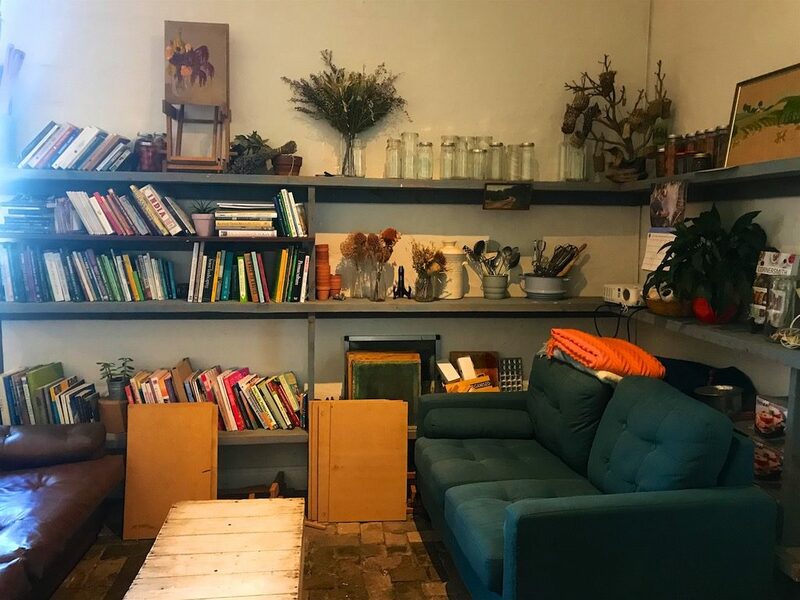 Living in a peri-urban environment can be a bit isolating, and we wanted to set up a space that locals could use in any way they saw fit, whether it was as a work space, or a place for mums and kids to hang out, or a warm place to read in winter. Most importantly, it is about providing a space where locals can feel their community is within reach. 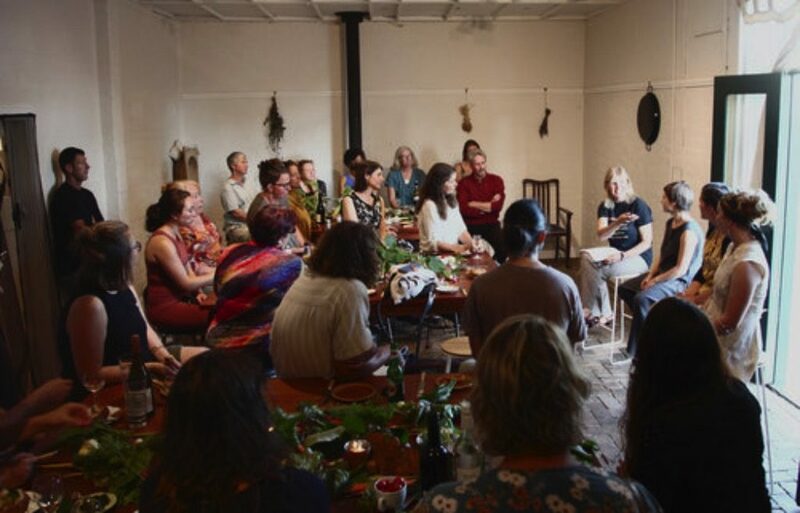 This project started as a collective, and is now becoming a full-blown community cooperative – that’s such a big step! 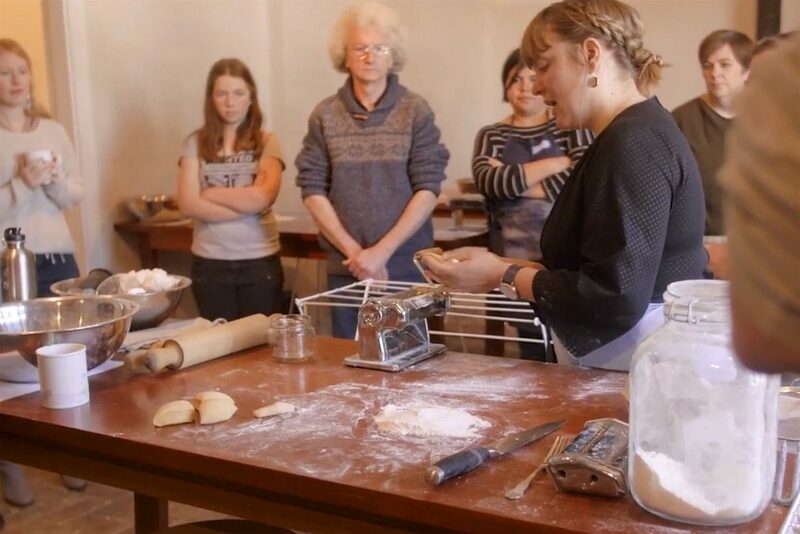 Can you tell us a bit about the crowdfunding campaign that’s happening to launch the co-op? How can people get involved? We have been working towards becoming a not-for-profit collective since the beginning and it feels a little like we’re now giving birth! We are very excited to become a cooperative and hope to build more connections and provide more people with the tools to live in a healthy, connected world. 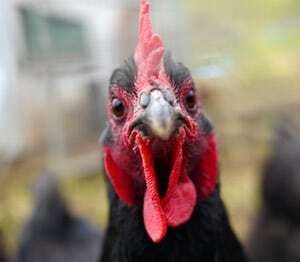 We’re encouraging people to get involved via our coop crowdfunding campaign! There are lots of different options there for people to become involved. You can also pay us a visit, follow us on Instagram and Facebook, and please share the news of our crowdfunding campaign with your friends. Thanks Emmanuela! 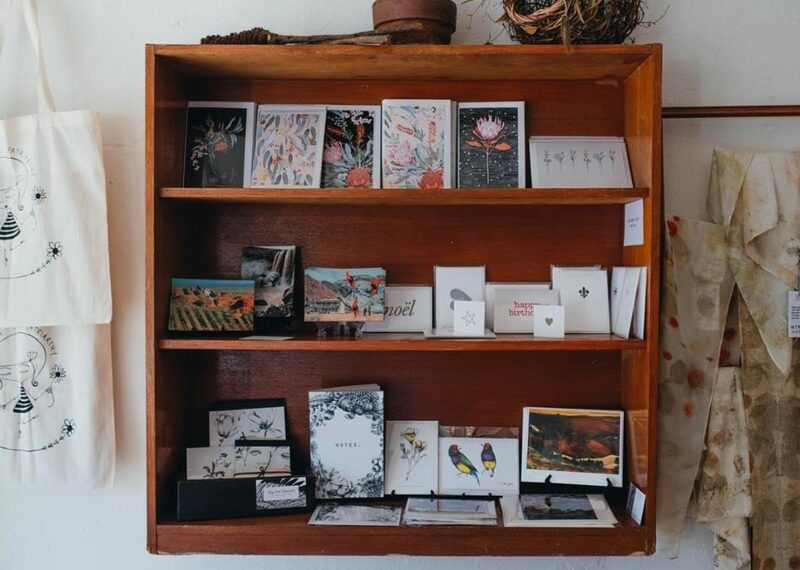 Check out Lyttleton Stores upcoming events to get inspired involved – it’s an easy walk from Lawson train station and an excellent day trip from Sydney. Make sure you bring a big bag for produce, and also your appetite, because the lunch there is awesome. Hooray for community. Inspired to create your own permaculture future? Our next Permaculture Design Certificate is in October in the rainforest at Otford NSW, and we’ll be welcoming David Holmgren, co-originator of permaculture, as a guest teacher as part of our awesome teaching team. 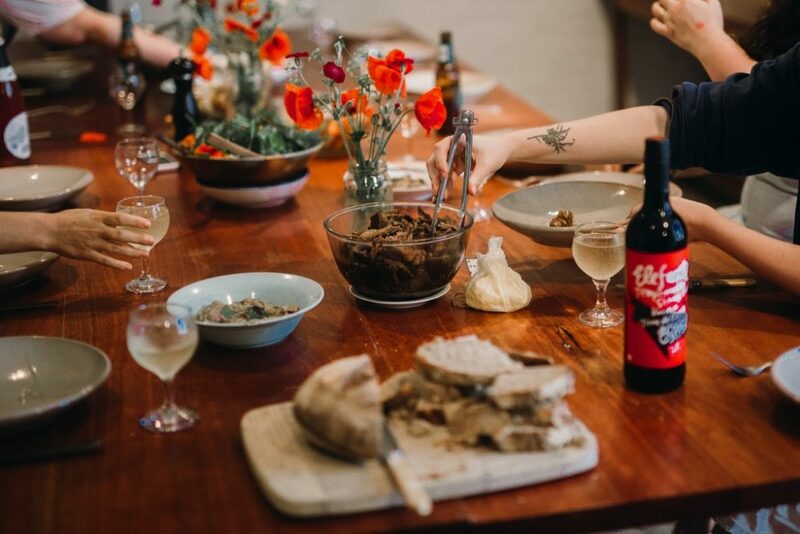 A Milkwood PDC is a frequently life-changing two weeks of design thinking and training that takes people all sorts of places, and we’d love to see you there. Details are here. Biodiversity in any garden whether it's small or large is super i . .